Apart from the capital, Bangkok, the favourite location in Thailand is Pattaya, a beachfront resort city on the Gulf of Thailand which has quickly become one of the world’s leading playgrounds. 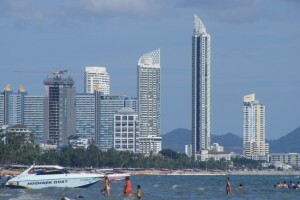 Pattaya had a record 8.2 million visitors in 2012, including more than 1.2 million native Chinese speakers. By 2015, the local tourist authority is predicting more than 2 million visitors from China each year, which will make China the number one country for local tourism. Although prices have been rising steadily since 2008, real estate is still surprisingly affordable here, with units in prime locations starting from just ฿900,000 ($31,000) – still less than the price of a half-decent new car. Pattaya has recently started investing heavily in the city’s infrastructure in order to ensure that it becomes a truly world-class resort city. Today Pattaya is transforming into a Riviera for all of South East Asia in order to prepare for Thailand’s entry into the ASEAN Economic Community in 2015. In addition to fast expansion of the local U-Tapao airport, Pattaya will benefit greatly from the new high-speed rail link from Bangkok in 2018, which will cut the journey time from the capital down from 90 minutes down to just 30. Not only will this make life a lot easier for foreign tourists, but it also means that it will be possible to commute from Pattaya to Bangkok. This is sure to result in more Thais working in Bangkok choosing to move to the resort city where prices are cheaper and the quality of life is substantially better. 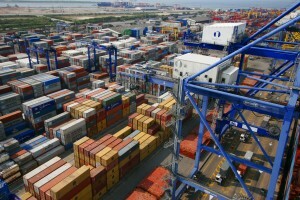 Outside Pattaya, Chonburi province is becoming one of South East Asia’s main centres of industry, with new foreign-owned factories continually opening in order to take advantage of the area’s central location within the AEC. Many of these companies’ senior management choose to base themselves in Pattaya, ensuring that there is constant demand for both rental and resale properties. Due to all of these advantages, it is perhaps not surprising that the property market in Pattaya is booming unlike anywhere else in the World today. Demand for real estate is coming from both foreigners from all over the world as well as middle-class Thais from Bangkok, whose interest in Pattaya has grown rapidly following the major flooding in the capital city in 2011. 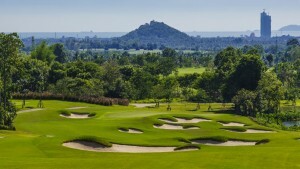 Such is the high demand for the best developments in Pattaya that some of them sell out within days, such as “The Base” from Sansiri, who sold the project’s entire 1315 units in a period of under two weeks Some buyers are already re-selling their investments here at a major premium after just a few months of ownership. 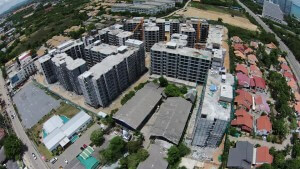 It is already possible to achieve rental yields of 10% or more in Pattaya, with prices increasing at a rate of 20% or more per annum in the most popular developments. With the vast amount of investment coming into the city over the next five years, these highly impressive capital increases are sure to continue for many more years to come. Pattaya is the perfect choice for anyone looking for a retirement or holiday home. No matter what you might be looking for from an ideal holiday destination, Pattaya has got the lot, whether it’s relaxing on sandy beaches, swimming in the sea or sampling its legendary nightlife. Now that Thailand is offering special retirement visas for anyone over 50, increasing numbers of people are selling up in their home countries and moving to Pattaya. Here cold winters and an exorbitant cost of living will quickly become nothing more than unhappy memories and they can enjoy a fabulous standard of living from $1,500 per month. Pattaya’s hospitals offer world- class medical facilities and, for those with families, the city offers some excellent international schools. Many of those looking to visit Pattaya on a regular basis – or move here permanently – are interested in buying a property. The attractions are obvious – no more rent to pay and the opportunity of making it your own personal space with your own personal style.